Has a simple noise ever driven you crazy? Maybe it was the sound of a sniffle, a baby’s cry, loud chewing, or even a yawn? It may sound unreasonable, but there are millions of people who become irritated, anxious or agitated by the everyday sounds that the majority people happily ignore. Misophonia, which quite literally means “hatred of sound,” occurs when common, everyday sounds trigger emotional responses and the need for escape. While research is in its infancy and the condition was only recognised as such in 2000, researchers do know that Misophonia manifests around age 12, and they estimate that the disorder impacts more people than they can comfortably quantify. Because so little is known about Misophonia, methods of treating or curing it are also in their developing stages. However, as the disorder becomes more and more common, an increasing number of clinics are popping up around the world, seeking to treat those afflicted with auditory distraction methods (white noise mechanisms) and cognitive behavioral therapy that enable the misophonic to move past specific trigger noises in order to function comfortably in society. As you can imagine, Misophonia can be a very isolating disorder, if those afflicted are dodging their trigger sounds, which are often commonplace and unavoidable. While there is some scientific consensus that Misophonia is a disorder, there is also discussion about whether the phenomenon is a physiological state, an idiopathic condition, or a manifestation of a psychiatric disorder. Scientists note that it is also important to differentiate between those patients who experience the symptoms, and those who suffer from the emotional and psychological response. Others note that the disorder, the accompanying symptoms, and the emotional response is itself a symptom of obsessive-compulsive and/or anxiety disorders. Symptoms of Misophonia can include agitation, defensiveness, anger, and even panic, which manifest when the sufferer hears their trigger sound. In the long term, this can create social rifts between friends and family, issues such as unemployment, and problems at school, work, and in relationships; Misophonia may even result in lifestyle changes as the person attempts to isolate themselves from their particular trigger(s). 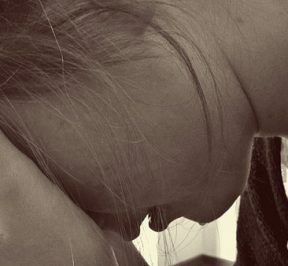 Consider those afflicted trying to go about their day-to-day routine in a busy classroom, in a bustling office, or even in a crowded grocery store or on public transportation; it’s difficult to imagine mitigating the stress of trigger noises — and the anticipation of the accompanying emotional responses — while trying to function normally. Eating noises: chewing, crunching, gulping, lip smacking, gum popping, slurping, licking, teeth clicking, sucking, swallowing, throat clearing, and burping. Breathing noises: sniffling, snoring, wheezing, grunting, whistling, congestion, and shouting. Vocal: singing, whispering, humming, and repeated words. Indoors: pen clicking, pen scratching, texting/keyboard noises, ringtones, plastic crinkling, clock ticking, and papers rustling. Outdoors: baby crying, birds chirping, dogs barking, crickets chirping, lawn-mowing, leaf-blowing, power tools, car noises, and muffled music/talking/tv noises. It’s interesting to note that most triggers are human-made noises, though there are certainly exceptions on the list. Often, trigger sets contain sounds that are part of the everyday human experience and that are, for the most part, unavoidable. Trigger noises may also include background sounds, which makes it very difficult for misophonics to focus or concentrate throughout the duration of the day. This difficulty explains why many afflicted by Misophonia gradually isolate themselves from the outside world, preferring to live their lives without the rage, anxiety, and panic induced by specific trigger sets. Those who suffer from Misophonia will attest to the emotional response that follows (or prefaces) a trigger sound or trigger set. In this case, there are typically three responses that therapists look for to determine whether or not someone is suffering from Misophonia. They include: anger, disgust, and anxiety. Anger is certainly the most heightened — and noticeable — reaction. To understand more about what sufferers of Misophonia might be experiencing, let's break down the specific emotional responses to explore the root of the cause. When a listener experiences anger in response to a trigger sound, it’s often psychologically rooted in rule breaking and a violation of self. For example, someone whose trigger sound includes lip smacking or slurping might see the behavior as an example of a person’s poor social skills and manners, or simply as crass, thoughtless behavior. If a listener feels disgust when listening to a trigger sound or set, it’s likely associated with psychological cues about the health/safety of a situation or object. For example, many afflicted with Misophonia feel disgust when they hear someone chewing loudly or sniffing their nose. We’re revolted when our senses are overwhelmed by the signs of sickness or simply by rotting food. 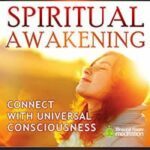 In a similar way, when certain people hear/experience these sounds, they feel similarly disgusted and have an urge to move away from the source of the noise. The third response, anxiety, is likely centered around a person’s past experience with Misophonia and their desire to avoid a future occurrence. It’s important to distinguish that those who suffer from this disorder are not anxious about the sounds themselves, but feel distress when they think about having to deal with their own emotional responses of anger and disgust while in a social setting. It’s also interesting to note that the disorder can manifest physically, as well as emotionally. When enraged or deeply disgusted, people with Misophonia may notice that their adrenaline rises, that they have a spike of energy, and that that response is accompanied by symptoms such as a rapid heart beat, quick and shallow breaths, extreme tension and tightness, shakiness, sweating, and even overheating. 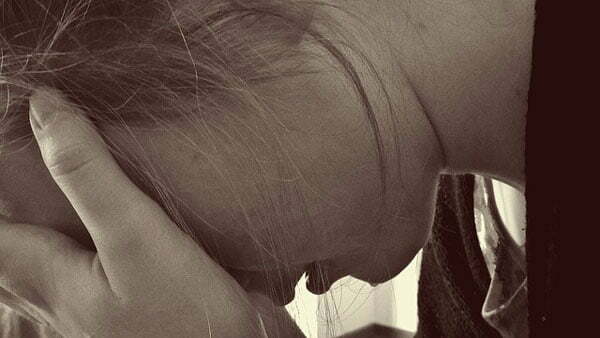 Often, these emotional and physical symptoms are sudden and very overwhelming. If you’re curious about what causes Misophonia, you’re not alone. Scientists and therapists have been fascinated by this particular disorder for years and have been trying to uncover vital information about how and why it occurs. While they’re not absolutely convinced they’ve discovered the root cause behind the disorder, they have published extensive research about their findings. An affective sound-processing disorder characterized by the experience of strong negative emotions in response to everyday sounds (The Brain Basis for Misophonia). Using MRI and physiological data, researchers discovered that misophonic subjects have very specific trigger-sound-related responses, both emotionally and physically. They found that a subject’s anterior insular cortex (AIC) — a region responsible for joining sense-based signals and emotion processing — was activated in scenarios when subjects heard their trigger sounds. In these subjects, researchers found that there was “abnormal functional connectivity” between the AIC and the brain regions (ventromedial prefrontal cortex, posteromedial cortex, hippocampus, and amygdala) responsible for processing emotions. In short, those suffering from Misophonia have both an overactive AIC and one that is connected to different parts of the brain than the majority of the population. using a white noise machine or another mechanism that creates a hazy background noise (like a fan) can help you tune out your trigger sounds and focus on the task at hand without any negative reactions. 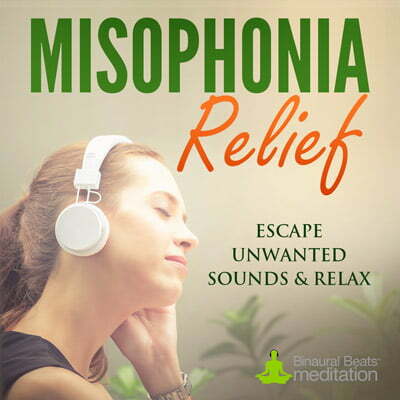 Our Misophonia Relief program combines White Noise with relaxing Theta Binaural Beats frequencies, which help the brain shift from a state of anxiety and irritation to a peaceful state. 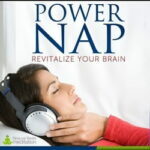 The recording helps mitigate emotional responses and induces relaxation. By listening along, not only do you escape the irritating sound, but the brain is quickly moved away from a state of anxiety and into a state of peace – where you can regain control, re-center your mind and carry on with your day. The recording is particularly useful if you find yourself in an environment that contains a trigger sound. If you find yourself having an emotional response to a sound, you can slip on your earphones, press play and escape the sound immediately. Misophonia Relief also provides an element of Cognitive Behavioral Therapy (CBT). By rewarding your brain with relaxation each time you hear the trigger sound, you will, overtime, associate hearing the trigger sound with becoming relaxed and comfortable. like white noise, ambient background music can be used to distract you from the occurrence of trigger sets. Utilizing music to mask or distract from background sounds can be extremely effective, as it attempts to induce a more positive emotional state. This type of treatment involves altering the negative thoughts and emotions associated with trigger sounds. This type of therapy isn't a “quick fix” and focuses on retraining emotional responses over a long period of time. Yet, although CBT treatment has proven very effective in helping those with Tinnitus cope with their symptoms, many Misophonia sufferers say it is ineffective. Because Misophonia is caused by a difference in brain control mechanisms, some researchers believe that passing low levels of electricity through the skull is a helpful form of treatment, as low-level electricity has been known to slightly alter and positively affect brain function.